Government wishes to correct the impression created by former Information and Broadcasting Services Minister Hon. Chishimba Kambwili in some sections of the media that loan money meant for the Digital Migration process, to the tune of 273 million United States Dollars has been misappropriated. The nation may wish to know that the digital migration project is being implemented under two separate contracts. Phase one of the project was contracted at a sum of 9.554,124.49 United States Dollars. Phase entailed the erection of digital transmitters and other attendant digital transmission equipment along the line of rail from Senkobo near Livingstone to Chililabombwe. The nation may wish to know that this phase was successfully concluded in June 2015. On the amount involved in phase one, Government has made only two payments. A down payment amounting to 955,412.45 United States dollars was paid in August, 2014 and a second payment amounting to 1.060,969.94 was made to the contractor StarTimes Software Technologies Company Limited of China, in March, 2016. It is important to note that in spite of the successful completion of phase one two years ago, the contractor is still owed 7.549,096.65 United States Dollars. The final operational certificate was rendered on 8th June, 2016 but still, no payment has been made due to the fiscal challenges facing the treasury. As the nation might be aware, the second contract of the digital migration project covers phases two and three respectively. It should be clearly stated that the works under the two phases are comprehensive as the project encompasses the entire length and breadth of our country. Choma and Solwezi studios are being funded outside the US$273 million loan arrangement. It is also worth noting that aside from transmission and other attendant equipment being installed at the six (6) provincial centers, there are also subsidiary transmission sites at 64 sites where small transmitters are also being erected to ensure total coverage of the entire country. In areas where the topography cannot allow for digital terrestrial television transmission, these areas will be served by satellite. For the record, it is important to state that the lender, EXIM Bank of China has NOT yet released a single cent of the US$ 273 million loan. In fact, the Ministry of Finance is still handling issues to do with fulfillment of the conditions precedent to first disbursement. It must be clear stated here, that, all the work that has been done thus far, has been financed from the contractor’s own resources. It is, therefore, patently false for Hon. Kambwili to suggest that the loan monies have been misappropriated because the money in question has not been released. I must also state that it is not only mischievous but grossly misleading for Hon. Kambwili who served as Minister of Information and Broadcasting Services and was privy to these facts to deliberately mislead the nation. It is also worth stating that prior to the contraction of the loan, ALL tender procedures were followed. 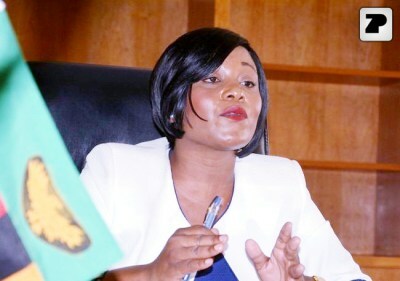 It is true that Startimes Software Technologies Limited was single sourced to undertake phases two and three and requisite approval was obtained from the Zambia Public Procurement Authourity (ZPPA). As is procedure and a requirement in Government operations, as Minister, Hon. Kambwili was fully kept informed about the processes. I need to make it very clear that State House was not involved in the procurement process contrary to lies being peddled by Hon. Kambwili. Hon. Kambwili should confine himself to his cheap politicking instead of launching a misguided and irresponsible smear and slander campaign against his perceived political opponents to win public sympathy. In any case, if there was anything wrong he saw in the digital migration project, did he have to wait to be fired to speak out?